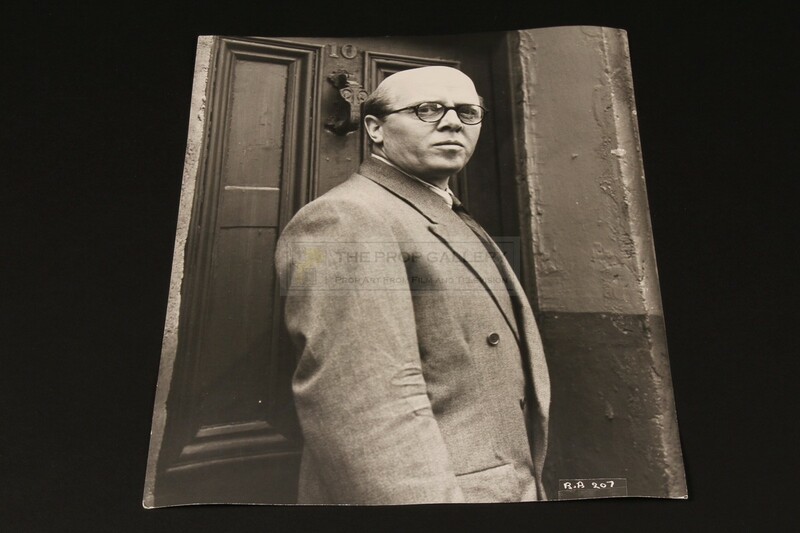 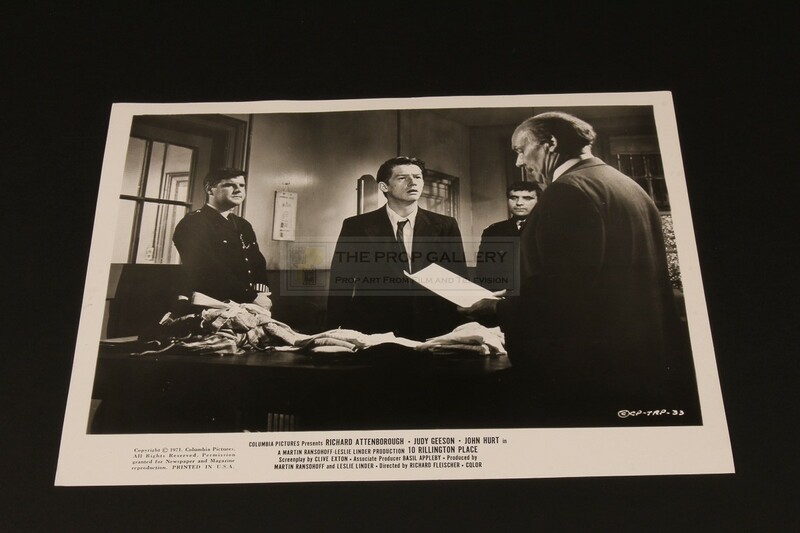 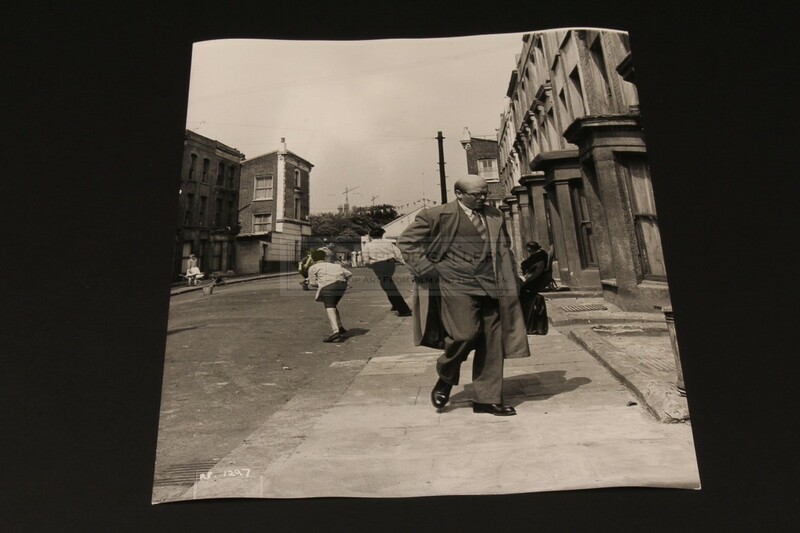 A collection of publicity stills from the production of 10 Rillington Place, the 1971 crime drama starring Richard Attenborough and John Hurt. 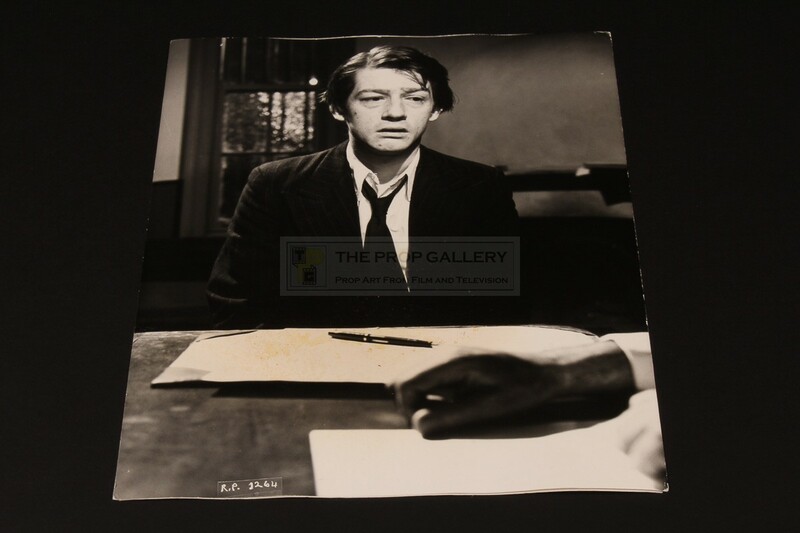 A collection of 15 vintage black and white stills used to promote the movie depicting Richard Attenborough, John Hurt and Judy Geeson in their respective roles. 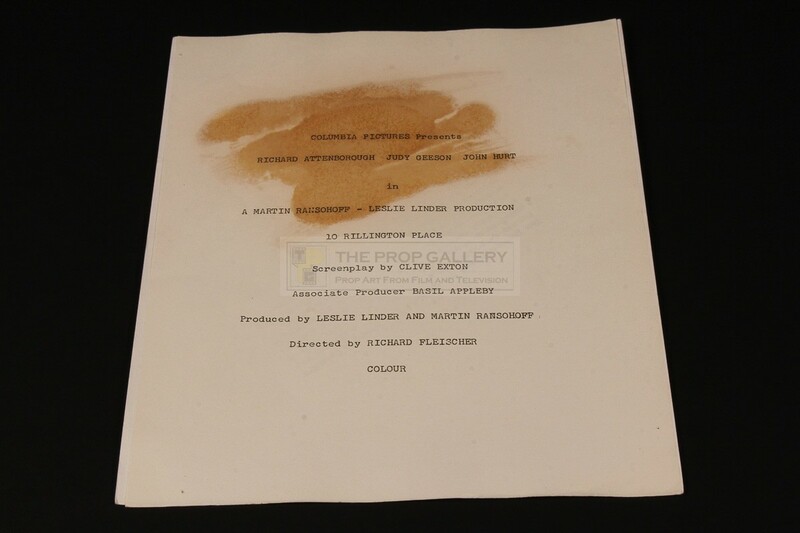 The majority of the stills feature Columbia Pictures copyright stamps to the verso with hand inscribed descriptions in both pen and pencil, others with applied paper backing which is type written with production credits. 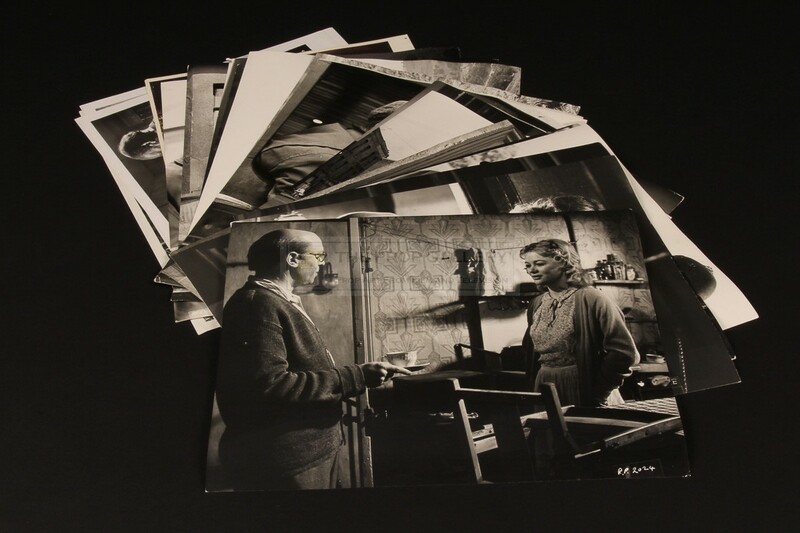 Each of the still measures approximately 8" x 10" and remains in good vintage condition with some light edge wear and toning. 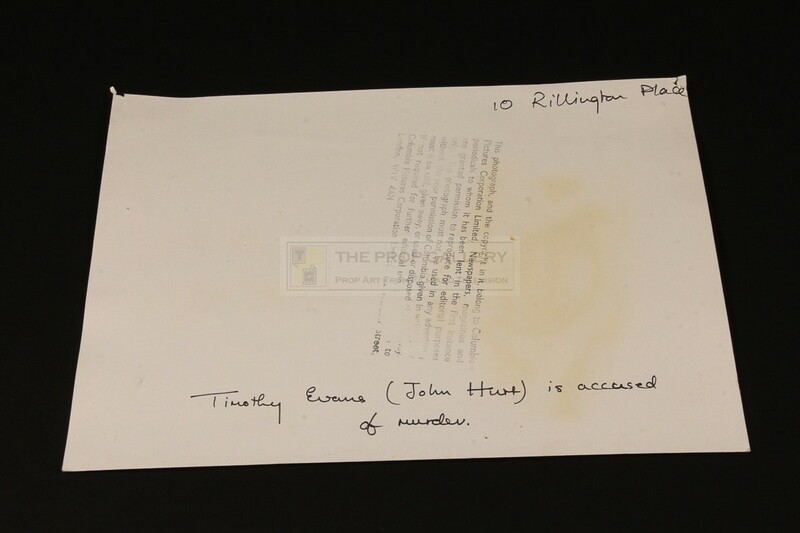 Formally part of the collection of Richard Attenborough. A fine collection of still from this well regarded picture.